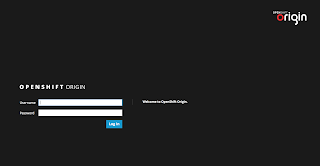 There are very few things better for an application developer than a solid Platform as a Service (PaaS) infrastructure that takes away all of the underlying service pains and lets them focus on their application development. 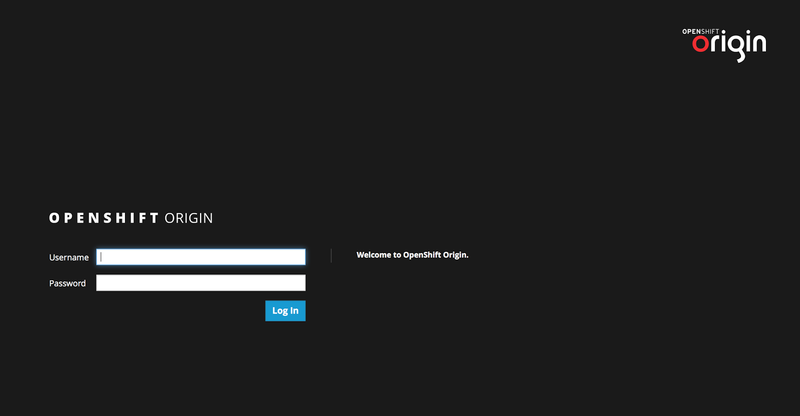 One of the best out there is OpenShift Online, which you can use freely or scale up with a subscription for more instances with more services such as size, scalability and storage capabilities. 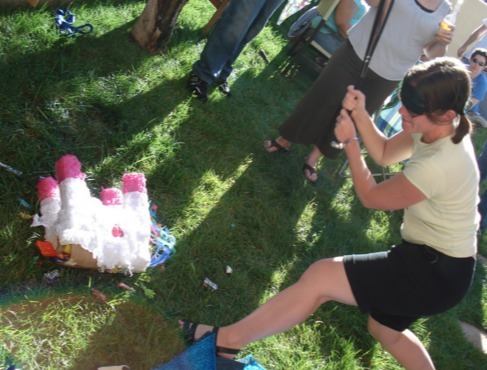 This is a public PaaS, and while by no stretch of the imagination is this option a bad choice, you might be also interested in putting together your very own private PaaS experience. 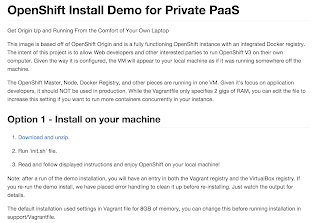 It is really that easy with the fully automated OpenShift Install Demo project put together to make the process both fool proof and repeatable. So, what are these three steps you ask? You will need to have the pre-requisites installed, but if you don’t and start the installation it will stop, warn you, and provide the links to go and get what is missing. You will need to download and unzip the install project. 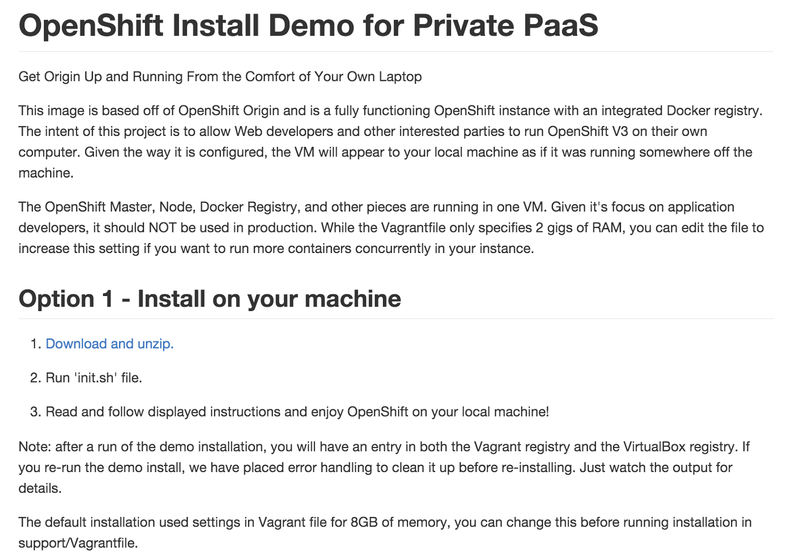 Finally you will need to run the installation – just type in one command (init.sh for Linux & OSX, Windows coming soon…) and then sit back to enjoy a fully installed OpenShift Origin private PaaS.